If you prefer a Nook or Kobo digital edition, please email me at bookshopwithoutborders@gmail.com so I can make arrangements so you get the sale price on the digital version of your choosing. I now have printed copies available as well. They are $12 plus shipping costs. See sidebar for shipping options. Books purchased from me are autographed and can be personally inscribed for you or as a gift. 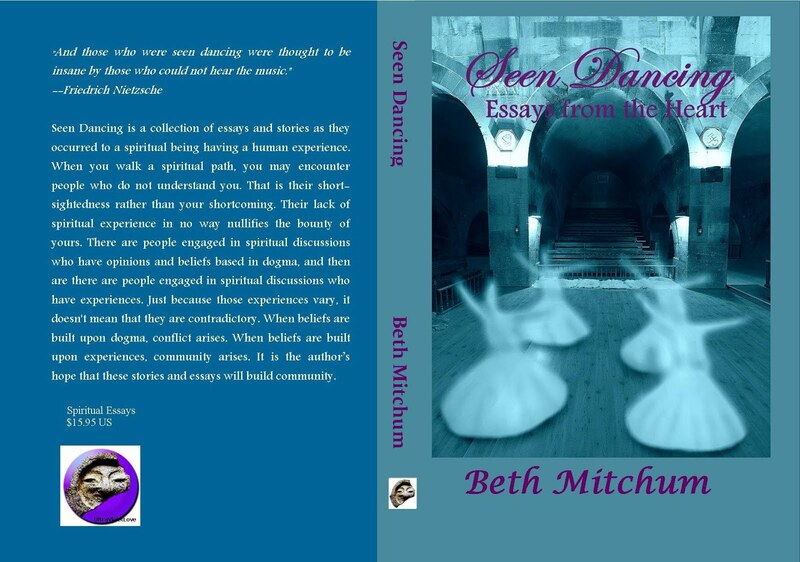 Seen Dancing is a collection of essays and stories as they occurred to a spiritual being having a human experience. When you walk a spiritual path, you may encounter people who do not understand you. That is their short-sightedness rather than your shortcoming. Their lack of spiritual experience in no way nullifies the bounty of yours. There are people engaged in spiritual discussions who have opinions and beliefs based in dogma, and then are there are people engaged in spiritual discussions who have experiences. Just because those experiences vary, it doesn't mean that they are contradictory. When beliefs are built upon dogma, conflict arises. When beliefs are built upon experiences, community arises. It is the author's hope that these stories and essays will build community. The third book in the Sappho's Corner Poetry Series has been released and has been a best-selling hot new title in Amazon's gay poetry section. It made it to the number 3 spot at least, making it the number one selling new lesbian title, since the only two books higher were gay male-oriented. 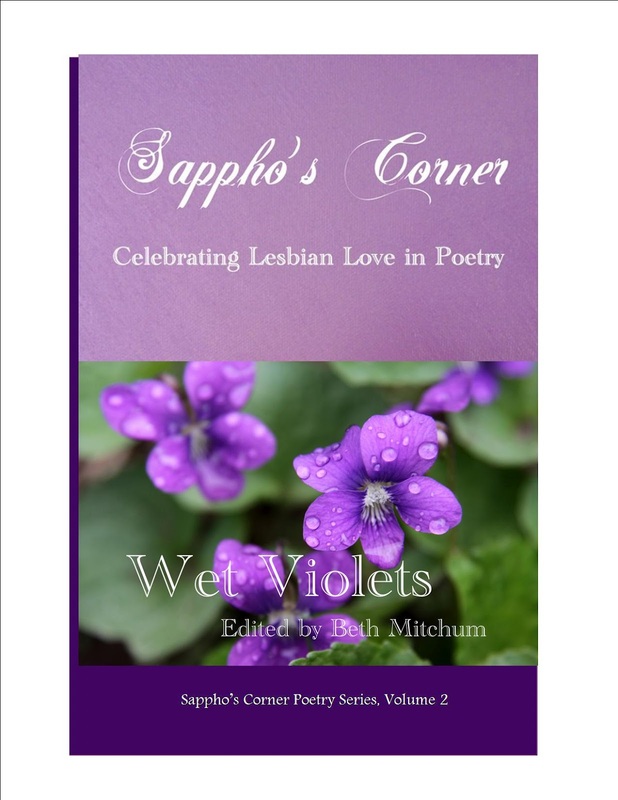 Congratulations to all the Sappho's Corner poets who have helped make this happen by generating the excitement about its release. Thanks also goes to P.R. 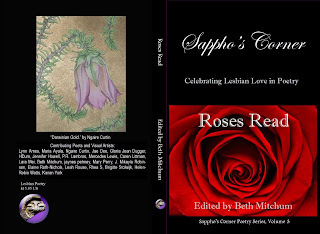 Lambros for the stunning photo of that beautiful red rose and to Ngaire Curtin for the back cover artwork. While I like all of the covers so far, I confess that this one is the most dramatic and eye catching. Announcing the Official Release of Demeter's Daughter, the Long-Awaited Third Book in the Goddess Series by Beth Mitchum! 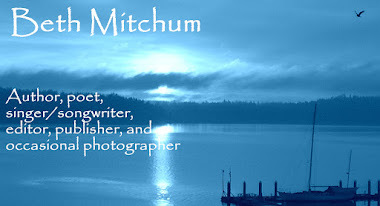 Demeter’s Daughter is the third book in a contemporary series by Beth Mitchum. 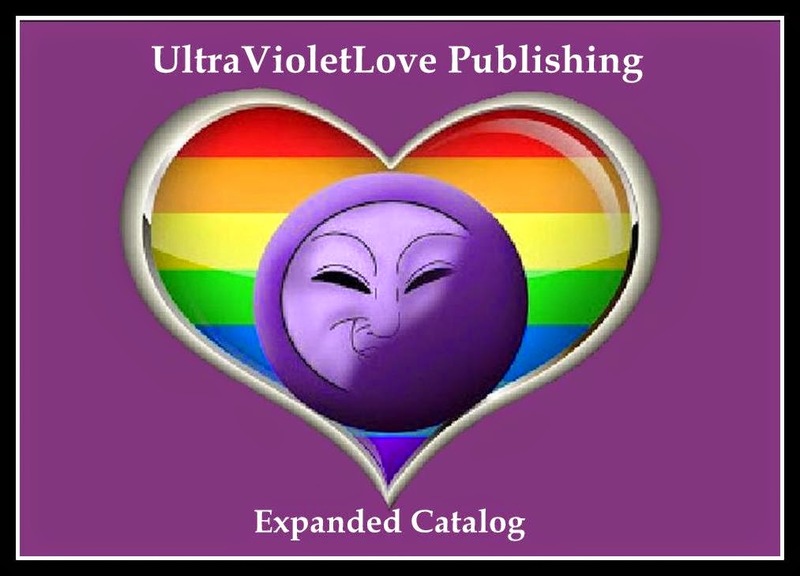 Each book is dedicated to a different Goddess. Although the Goddesses represented here are all ancient Greek Goddesses, there is no connection between the books and the land of Greece, except in a metaphorical sense. The books are dedicated to the spiritual energy these Goddesses can bring to our lives by helping us to become all that we are meant to be. Set in the late 1990’s on the cusp of the internet revolution, the series begins with Artemisian Artist, where we meet four women who become connected to each other in sometimes unexpected ways. In the first book, we see their lives through the eyes of Liz Higgins, an artist who is just beginning to find success in her work. In the second book, Gaia’s Guardian, we follow the thread from the perspective of Gerry Pearcy, a Lakeland police officer. In this third book, we follow the narrative from the perspective of Melissa Higgins, a student at the University of Central Florida and Liz’s younger sister. While attending college, Melissa deals with strong maternal urges and a sometimes confusing love life. Melissa’s life takes a puzzling metaphysical turn while she grapples with the sudden return of her mother, who vanished when Melissa was a toddler. 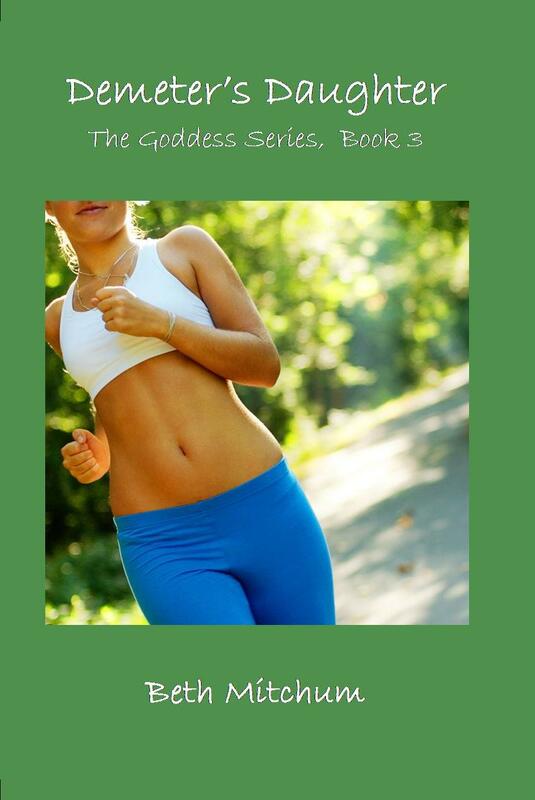 The series reaches its exciting conclusion in Hestia’s Healer, which is told by Dr. Terri Jackson, the fourth character in this odd quartet of friends and family. Each of the books focuses on one of the women and is narrated by that character—Liz, Gerry, Melissa, and Terri. Together they weave a tapestry of women’s empowerment through self-growth and strong relationships. 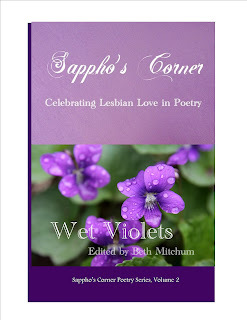 A new volume in the Sappho's Corner Poetry Series has been released. This volume includes 20 contributing poets and features the artwork of Ngaire Curtin. The poets include: Sylvie Allen, Lynn Ames, Katrina Arango, Maria Ayala, Michelle Bellmore, Ngaire Curtin, Jae Dee, Gloria Jean Dugger, HDum, Monique Finley, Caren Littman, Lara Mei, Beth Mitchum, jaynes pehney, Elaine Roth-Nichols, Beth Sheffield, Brigitte Stolwijk, Anretta Wachira, Helen-Robin Watts, and Kieran York. The collection was edited by Beth Mitchum. The theme is the same as in volume one, that of "celebrating lesbian love in the tradition of Sappho." 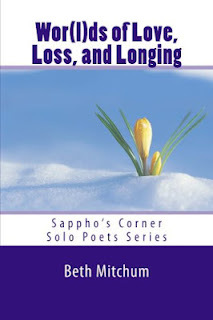 This volume of poetry overlaps bethwor(l)ds somewhat, but the poems focus on the themes of love, loss, and longing. There are about 50 new poems under these categories that weren't included in bethwor(l)ds. Available immediately in Kindle and print online and via special order in stores. Tulips are touching and spreading around the globe. 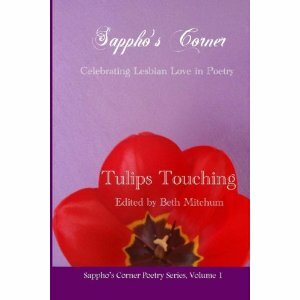 So far Tulips Touching has reached Canada, France, Germany, Italy, Spain, UK, and US via Kindle. It's also going to reach all those places in print format, probably in the next week or two, and Japan as well. Barnes and Noble has it in Nook format, but hasn't gotten the print version listed yet. Print copies are for sale via some of the poets/artists. 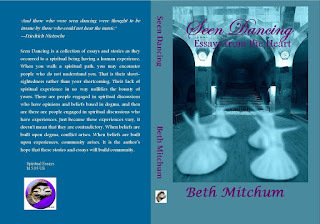 You can get them on sale through April (National Poetry Month) from Beth Mitchum for $12 (media mail in US) or $15 (Priority Mail) via bookshopwithoutborders@gmail.com or uvlpublishing@gmail.com. Your copies from this poet will be signed by her and will include a free matching bookmark. Other poets/artists may have some copies available for sale and autographing too.